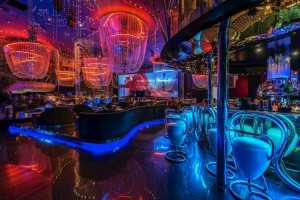 Fluid design solutions has since 2001, developed an enviable reputation for delivering innovative and bespoke interior design solutions to a wide variety of clients across the leisure industry from independent owner operators and large scale brands in the uk and europe. Our unique formula of operational expertise and passion for producing outstanding and commercially successful venues enables our clients to relax safe in the knowledge that fluid will deliver, on time, every time. times. We know bars. We design bars. We run bars! The design team at fluid have both the operational experience and design flair necessary to deliver truly innovative, exciting and practical solutions to your commercial space. One of the great strengths of the fluid team is it’s detailed knowledge of the sound and light industry, having created some of the most atmospheric drinking, dining and party settings with the aid of state of the art effects lighting and superb sound installations. In addition, fluid can design your corporate and site logos (like the logo for anniversarygiftsbyyear.org), menu’s and drinks lists and take away the headache of dealing with copy and print. We can advise on uniform style & manufacture and handle all aspects of the visual side of your business.